Item # 302333 Stash Points: 1,897 (?) This is the number of points you get in The Zumiez Stash for purchasing this item. Stash points are redeemable for exclusive rewards only available to Zumiez Stash members. To redeem your points check out the rewards catalog on thestash.zumiez.com. 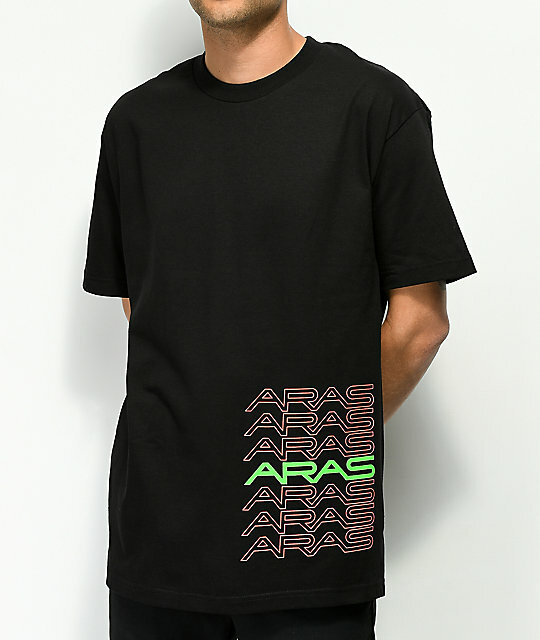 Get yourself a new look with Aras' Preacher Black T-Shirt. 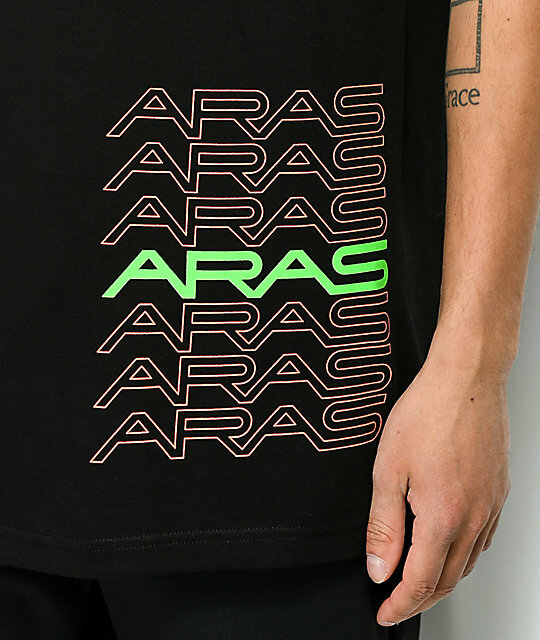 Featured with logo script found on the front of the garment while the back displays large scientific-inspired graphics and text in neon orange and green. 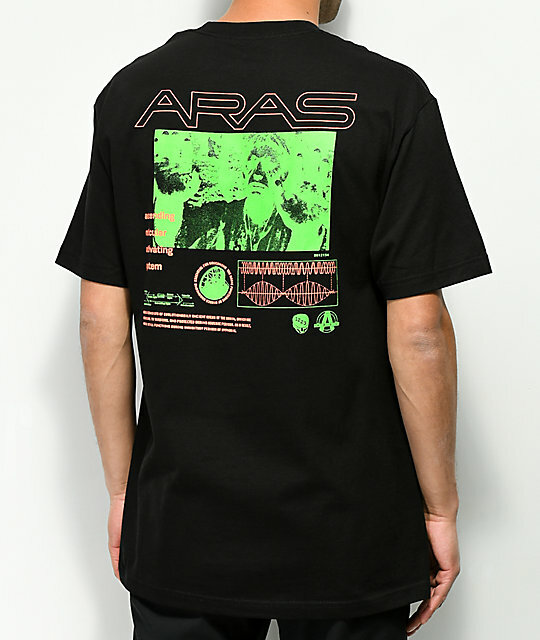 Preacher Black T-Shirt from Aras. Screen printed logo script on front lower left and graphics on back.